The City of Morocco, Taken from the South. 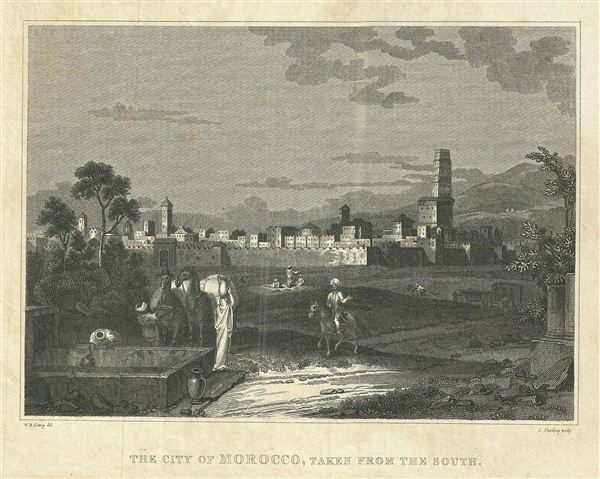 This is an uncommon example of the 1828 view of Morocco, drawn by W. M. Craig. It features a lovely view with women drawing water from a well and a man riding a horse. A walled city can be seen in the background. This view was engraved by J. Chorley as part of Malte-Brun's System of Geography, Vol. I., published in New York by Samuel Walker.